On January 15, 2013, Dr. Joel I. Bertstein, a La Jolla, California oncologist, pled guilty to a charge that he introduced an unapproved drug into interstate commerce and administering it to patients. The drug is a cancer fighting drug known as “Mabthera.” Mabthera has not been approved by the U.S. Food and Drug Administration (FDA) for use in the United States and is intended for marketing in Turkey. Rituxa is the approved U.S. drug that contains the same active ingredient and is used to fight lymphomas and leukemias. According to the government’s allegations, Bernstein and his corporate medical practice, Dr. Joel I. Bernstein, M.D. Inc., imported Mabthera at a deep discount, dispensed the drug to unwitting patients, billed Medicare as if the drug was legitimate, and retained profits from the transactions. The government alleged that during the period from 2007 to 2011, Bernstein purchased $3.4 million of unapproved cancer drugs, for significantly less than market value in the U.S., and submitted claims to Medicare at the full reimbursement price using Medicare codes for approved cancer drugs. The government charged that Bernstein submitted reimbursement claims of $1.7 million to Medicare. The financial recovery for the federal tax payer is not the sole objective for the government’s prosecution of this type of Medicare fraud. Additionally, the government seeks to combat a strong nationwide trend that exposes U.S. patients to risks associated with the use of drugs not vetted and approved by the FDA. Patient welfare is at stake. Indeed, the government considers the problem of counterfeit drugs to be of “epidemic” scale. 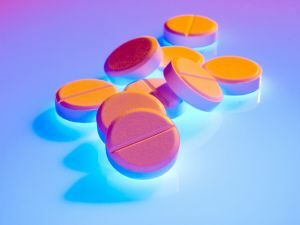 Numerous federal agencies, including the Department of Justice, the Federal Bureau of Investigation, the FDA, and Homeland Security, are involved in the effort to combat a national crisis of importation counterfeit and unapproved drugs. The government has undertaken significant efforts to discovery fraudulent Medicare schemes that cost the federal taxpaper billions of dollars every year and compromise patient safety. Dr. Bernstein’s plea agreement requires $1.7 million in restitution to Medicare, plus forfeiture of $1.2 million in profits. Bernstein is scheduled to be sentenced in May. In addition to criminal prosecution, Bernstein faces a False Claims Act lawsuit filed by the U.S. Attorney’s Office handling the matter. While the government’s allegations against Dr. Bernstein portray obvious wrongdoing, how some billing practices implicate Medicare rules and regulations may be less obvious. The importance of meticulous compliance with Medicare rules and regulations concerning dispensing drugs and submitting claims for reimbursement cannot be overstated. Physicians should avoid even the appearance of impropriety in the submission of Medicare claims and obtain legal counsel when in doubt. Kevin Little is a Georgia health care attorney with 20 years of experience and AV-rated by Martindale Hubbell (its highest rating for lawyers), who is focused on assisting physicians and other health care providers with legal issues that impact how they deliver care. Contact us at (404) 685-1662 (Atlanta) or (706) 722-7886 to schedule a confidential consultation.